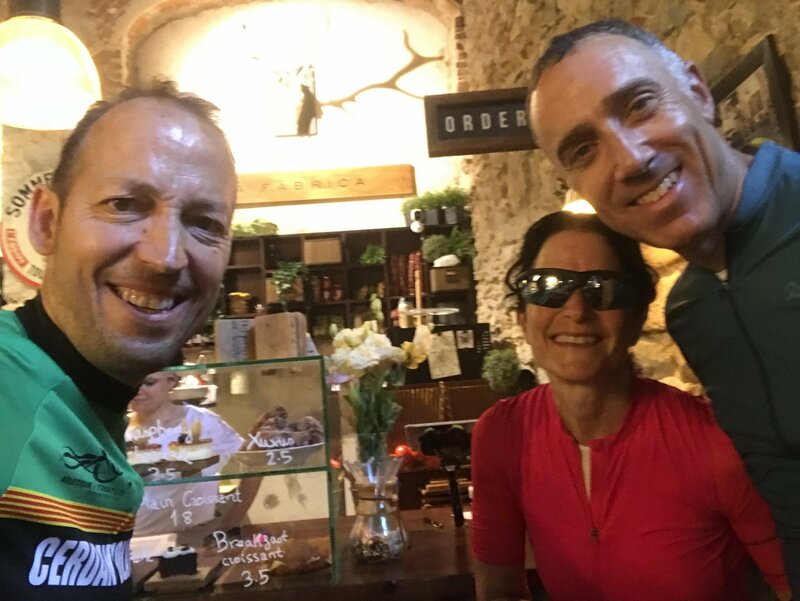 With some customers at La Fabrica! 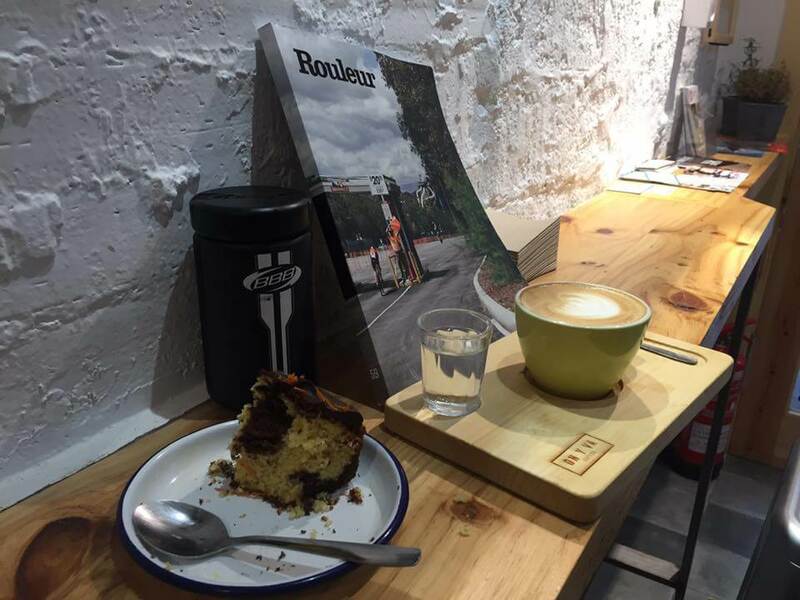 Possibly one of the most popular coffe shops in Catalonia is La Fábrica (the factory) in Girona. In Barcelona, cycling is becoming also very popular. Great cycling in Barcelona even if it seems that traffic could ruin that! The mountains surrounding the city are really worth, with some steep sections with hardly any traffic. 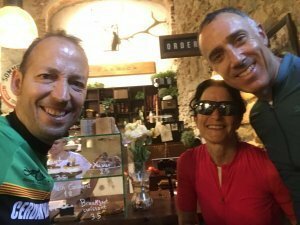 Demanding routes around Barcelona! You can discover all of them in our Barcelona hills tour, by the way! Eroica Coffe shop: Recently open (mid October 2018), it is a large cycling coffe shop, meeting point for local cyclists with some big rooms for groups. 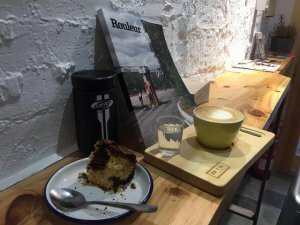 The right place to watch some cycling live and meet other passionates about cycling. Located in Eixample district, easy to find. 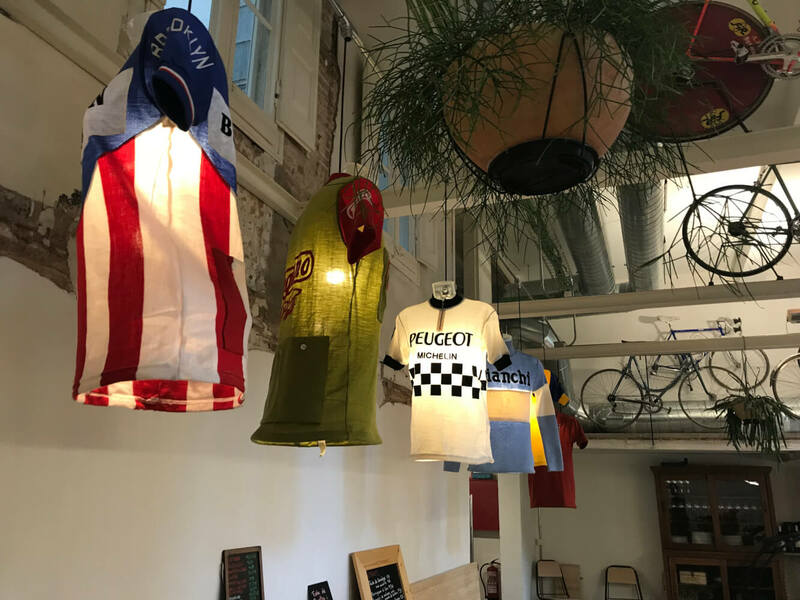 Bicioci Bike Cafe: Owned by the italian Fabrizio, this is not only a bike coffe shop but also a nice restaurant where you can have lunch, brunch, dinner… It is located in Gracia neighbourhood, a very popular and trendy area of the city. Highly recommended! 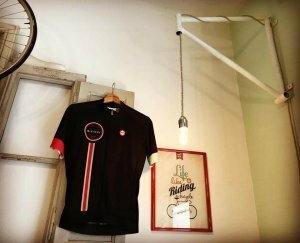 That’s a nice lamp indeed at Bicioci! 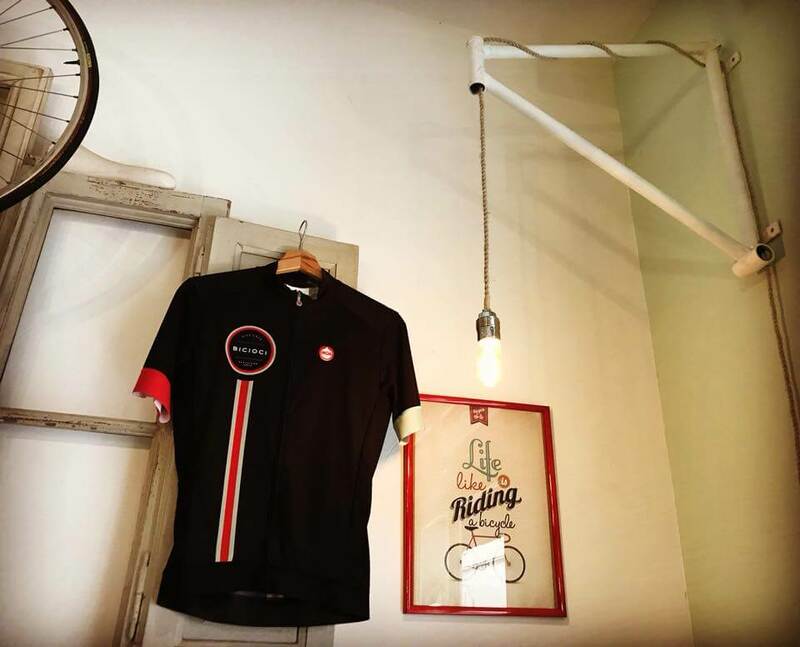 On y Va Coffee, located in the upper part of the city, is a nice place to meet and start a ride around Barcelona. Small but plenty of charm. On y Va Cafe, nice palace to meet and start your ride from Barcelona!